Microsoft acquires 'Beam' interactive livestreaming service. 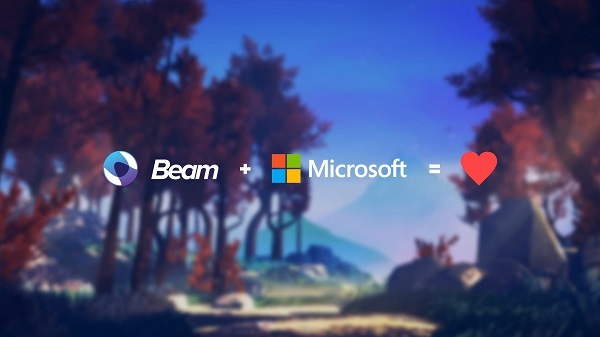 Today Microsoft announced that it has signed an agreement to acquire Beam, an innovative and interactive livestreaming service that gives viewers the ability to watch and play along with their favorite game streamers in real-time. Based in Seattle, Beam has evolved game streaming from a passive, watch-and-chat experience into one with real-time participation by the viewer; directly into a streamer's game play and live broadcast. Bringing Beam, their award-winning team and their inventive technology into the Xbox family supports Microsoft's ongoing commitment to make Xbox Live more social and fun. Using "Minecraft" as one example, with Beam you don't just watch your favorite streamer play, you play along with them. You can give them new challenges and make real-time choices that affect their gameplay, from tool selection to quests to movement; all through simple visual controls. In the highly anticipated "Sea of Thieves," which is all about emergent adventures in a shared world, you can watch the drama play out between different crews from multiple player perspectives. One of the best parts about Beam is that interactivity is easy for streamers to enable and customize, and is designed to work with any game.